Jason Isaacs and Mary Chieffo on character development in "Star Trek: Discovery"
Jason Isaacs and Mary Chieffo -- who play Captain Gabriel Lorca and Klingon L'Rell, respectively, on "Star Trek: Discovery" on CBS All Access -- say fans should expect to get to know the complexities of their characters over time in the series. Chieffo gave some hints about her character, L'Rell, a battle deck commander. "She's the brains behind the operations," Chieffo said of L'Rell. "She lets the men do a lot of the talking and she likes to work from the sidelines, but she's listening and making sure everything is going smoothly." 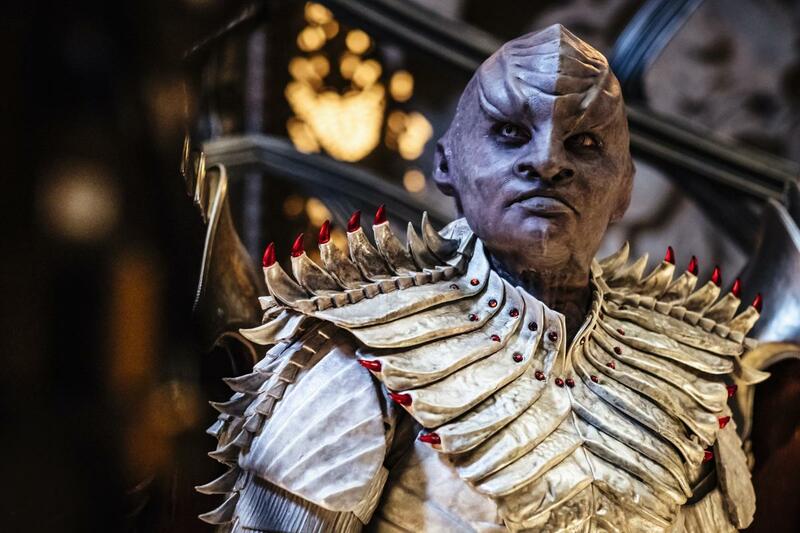 Chieffo said that for the first time, fans will get an in-depth look at the world of Klingons. "You get such a complexity and heart and humanity -- Klinganity," joked Chieffo. Isaacs revealed that viewers shouldn't expect much warmth from his character, Captain Lorca, who helms the USS Discovery. "He's the right person to be in charge during the war," Isaacs said. "I don't know if he's the right person to be in charge in peacetime. He's probably less sentimental than a lot of captains before ... yet he has a big heart." Watch the interview above to hear more from the actors.